The Air602 WiFi Development Board is based on Air602 Wi-Fi module and integrated USB interface and Antenna. 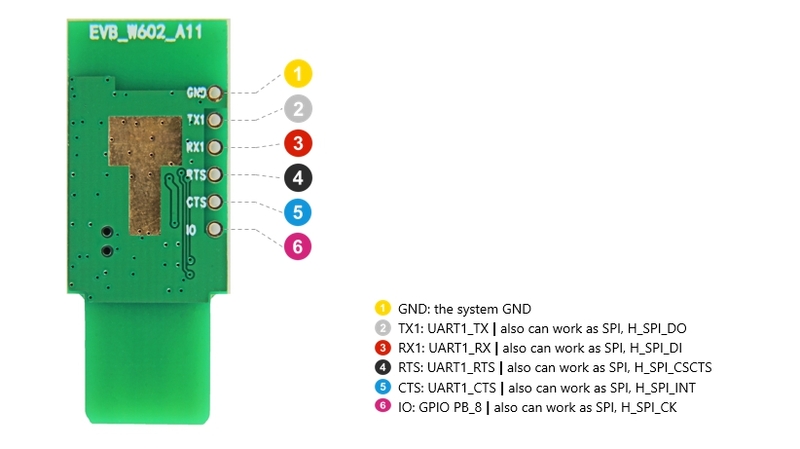 If you plug this board into your computer, it will be recognized as an Ports (COM & LPT), so that you can code it with Serial port tool. This module support IEEE802.11b/g/n and AT command. Meanwhile, if you do not need the USB, you can consider the Air602 Wi-Fi module. The size of which is only 12mm*10mm. Ever since the ESP8266 WiFi-enabled microcontroller came on the scene, it seemed like suddenly everyone came up with WiFi-enabled projects. But the ESP8266 is not the only game in town! Reader [PuceBaboon] notified us of a new product released by Seeed Studios: the imaginatively called Air602 WiFi Development Board. The core of this board is the tiny WinnerMicro W600 MCU, which integrates a 32-bit ARM Cortex M3 CPU, along with dual UARTs, I2C, SPI and I2S interfaces, as well as a real-time clock (RTC). Add to this hardware crypto, seven I/O pins (five broken out on the development board) and you have a very capable WiFi-enabled MCU which can be programmed using the usual ARM development tools (e.g. Keil) using the provided SDK. The Air602 forum is available now, you can find more resource here, and you can leave a message or discuss here.